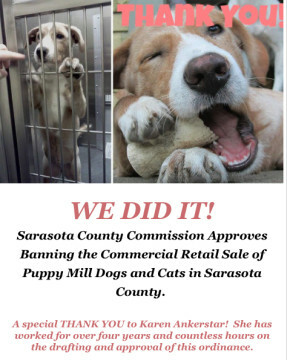 It was almost exactly 11 hours after Sarasota County Commission Chair Al Maio opened the Jan. 27 regular meeting that the board voted 3-2 to ban the sale of dogs and cats at retail stores in the county, the culmination of a process that speakers pointed out began about four years ago. Commissioners Christine Robinson and Carolyn Mason were in the minority. 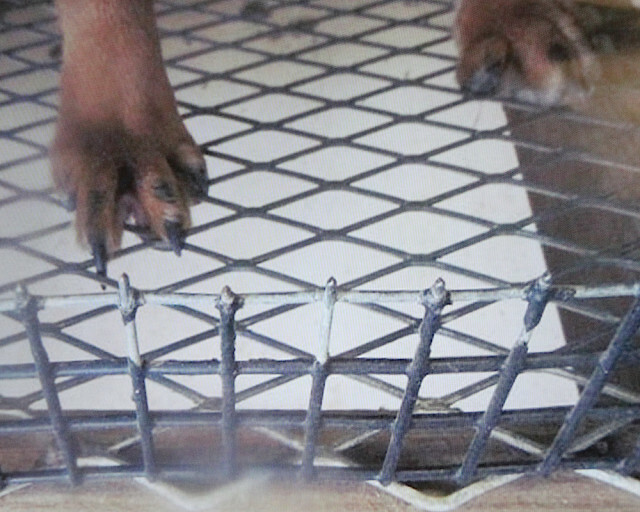 Robinson voiced dissatisfaction over the lack of staff outreach to purebred dog breeders in the crafting of the draft ordinance, and she expressed concern about unintended consequences of the new law on those breeders. 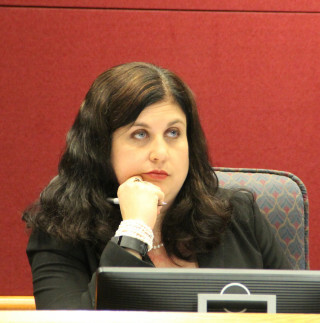 Mason pointed out that she felt the board should have been willing to explore an alternative ordinance that would have included tighter regulation of stores selling pets. Vice Chair Charles Hines suggested a tweak of that language to change “bred and reared” to “bred or reared,” which Caragiulo and Maio accepted in approving the motion. The law gives businesses that are selling animals a year to come into compliance. Testimony offered during the public hearing indicated that Petland Sarasota is the only store affected by the new ordinance. Although Robinson protested that breeders would be adversely affected the action — especially those, including one veterinarian, who sell animals at their places of business — Hines told her he had not heard anyone object to the fact that the proposed ordinance would eliminate such arrangements. “The public can go [to a breeder’s home] and see where the animal’s raised … and make their own decision” about purchasing the pet, he said. Adding in the revised section about hobby breeders “doesn’t solve a whole plethora of problems,” Robinson asserted, noting that those who breed purebred animals have to deal with an array of unusual circumstances, such as having female dogs inseminated out-of-state. “We have transactions between these breeders all over the country,” she noted. The board then unanimously approved a second motion, made by Hines, to direct staff to immediately begin outreach to the various hobby and home-based breeders and kennels throughout the region to address the implications of the new regulations on their businesses. The motion also called for staff to bring the findings back to the commission for a full discussion. “I hope that this action amends the very hard feelings” of the breeders in the community, Robinson said. “An apology is in order, no question about it,” Caragiulo responded. Under the rules for commission proceedings, every speaker during a public hearing is allowed five minutes. More than 90 of those who filled out cards took their turns at the podium on Jan. 27. 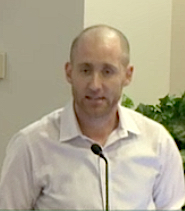 Tom Polk, director of the Planning and Development Services Department, and Thompson explained the background that led to that day’s public hearing. 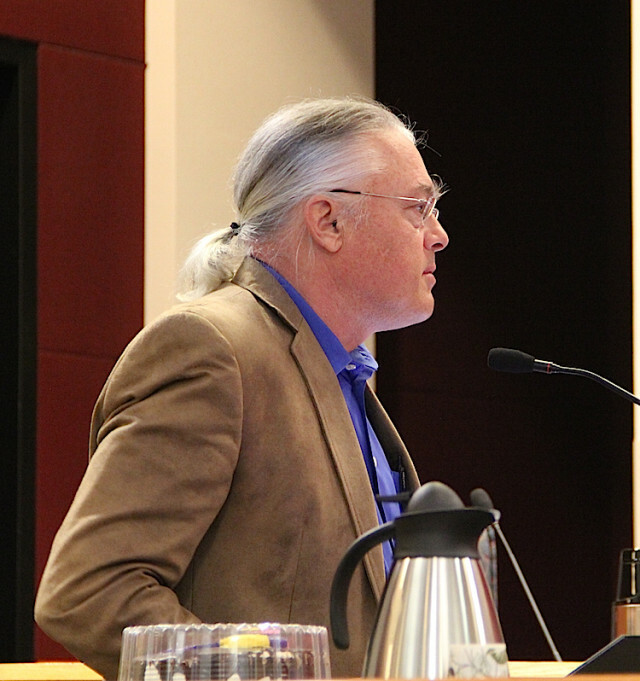 Thompson also noted that the draft ordinance eliminated any reference to sales of rabbits, because staff research subsequent to the last public hearing on a proposed retail pet sales ordinance — held Sept. 21 — indicated that that was not an issue of concern in the county. At 10:12 a.m., the first speaker, Patti Yenish of North Venice, began her remarks during the public hearing. Yenish related a story about an impromptu decision to purchase a Yorkshire Terrier from Petland Sarasota. 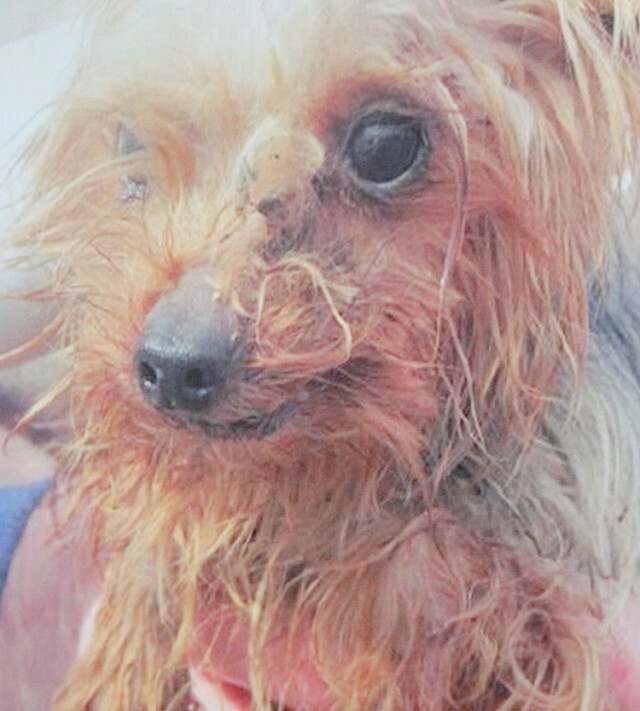 “Our puppy was very sick,” she told the board, adding that after investigating its provenance, she learned from Petland that it had come from what she called a “puppy mill” in Iowa, though Petland staff disputed that the farm where the terrier was bred was such a facility. Yenish’s story about trying to save her pet — while incurring more than $4,000 in veterinary bills — also proved to be the first of many accusing Petland of selling animals that had been bred in substandard conditions, leading to the dogs having serious illnesses when they went home with new owners. About 15 of the people who addressed the board prior to its 30-minute lunch break pleaded for passage of the ordinance. Prompting one of the few lighter moments of the day, Jono Miller of Sarasota made his way to the podium with a cake. 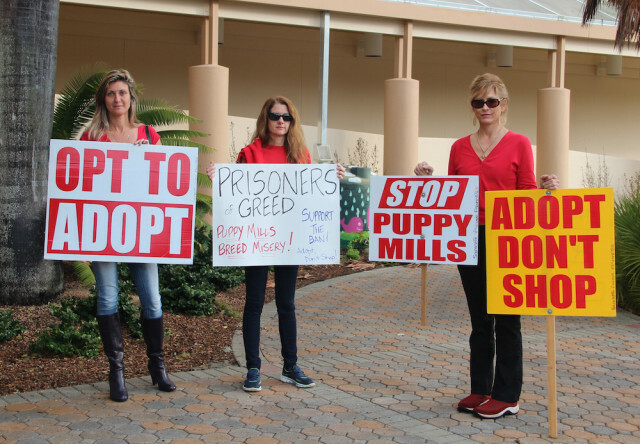 Pointing out, “I am not an expert on puppy mills,” Miller said he is a regular customer of Publix grocery stores, having shopped in them for 46 years. He showed the board his cake, which he dubbed “Shadow” because of the name on the packaging, explaining that people can buy cakes two ways at Publix. First, they can look through a laminated booklet, choose a style and “contract directly” with the store for a purchase. “If no one orders [a particular style] of cake for 10 years, [the store] won’t produce a single one of those cakes,” he said. A former Publix employee told him that any cooler cakes remaining after their sell-by dates are given to The Salvation Army, “which probably is great for Marie Antoinette,” Miller added. He left the cake with the clerks to the County Commission. 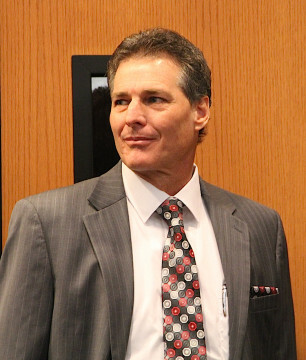 The second speaker after the board resumed the hearing 12:30 p.m. was Brad Parker, owner of Petland Sarasota. He told the board, “We do not buy from substandard breeders.” Shutting down Petland, he said, would merely drive more people to the Internet, where disreputable breeders offer animals for sale. He also talked of his numerous trips to the farms of breeders from whom he purchases puppies, to ensure the animals are brought up in good environments. In response to a question from Caragiulo, Parker said he deals primarily with brokers instead of directly with breeders. Almost 50 people followed Parker to the podium, speaking against the ordinance. A number identified themselves as Petland franchisees from other cities. Yet more were breeders from the Midwest who supply puppies to Petland. Late in the day, other Sarasota residents came forward to speak in favor of the ordinance. Additionally, Amy Jesse, public policy coordinator of the Humane Society of the United States, appeared before the commissioners, telling them that responsible breeders do not sell to pet stores or on the Internet; nor do they ship their animals across the country to be sold to people the breeders never have met. Interspersed among those who addressed the County Commission were breeders, a number of whom voiced anger that they had not had much warning about the matter coming up for a vote that day and expressing worry about how they would be affected if the ordinance passed.